When I was in Texas this week I had some delicious tacos from Torchy's Tacos. 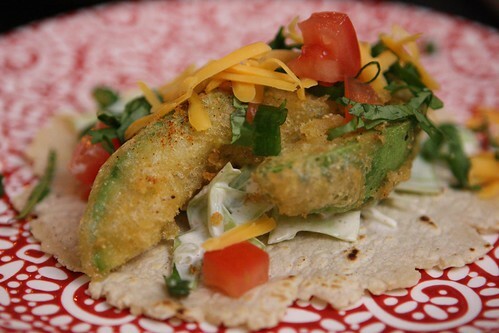 They were fried avocado tacos. I couldn't resist them because they featured avocado and they were only three dollars. Three dollars! They say everything is bigger in Texas but apparently this does not extend to the cost of lunch. Since they were so delicious I decided I would like to try to recreate these when I got home. 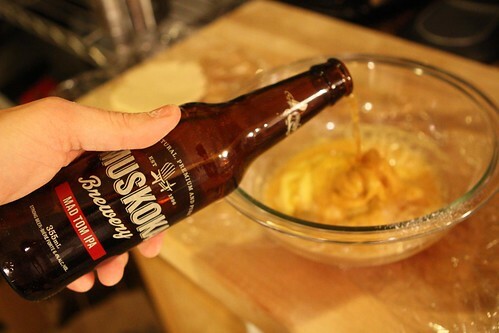 I started off by making a mustard beer batter with flour, corn meal, mustard, and a bottle of IPA. 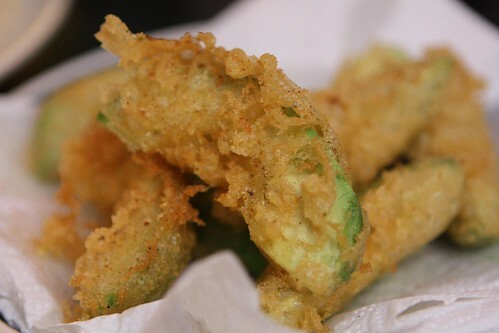 After dipping the segmented avocado wedges in the batter I deep fried them and let them rest on some paper towels. 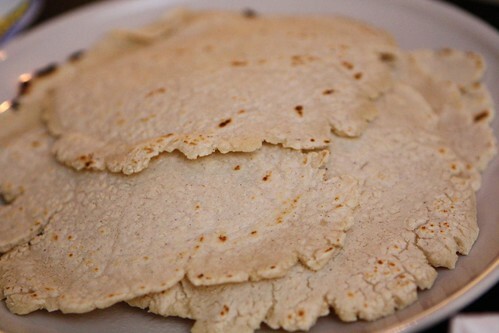 Before doing this I made some corn tortillas with a little masa harina and water. I'd never done this before (as shown in the picture above) and we don't own a tortilla press (also as shown in the picture above). While not as expertly crafted as the ones I had at the taco truck they were pretty tasty, and far superior to the crumbly, disgusting corn tortillas that are available at the supermarket. The final tacos were served up with a cabbage slaw I made with cabbage, salt, smoked paprika, hot sauce, lime juice, and sour cream. Also Jen chopped up some green onion, cilantro, tomato, and shredded cheddar cheese. 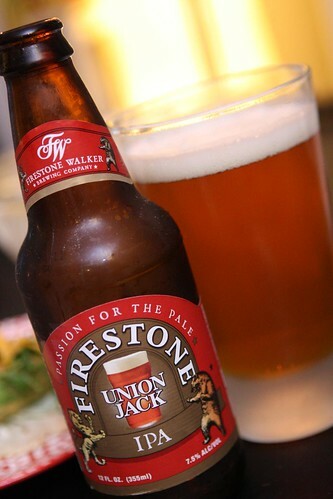 To match the IPA used in the beer batter I cracked open this Union Jack IPA from Firestone Walker Brewing Company in Paso Robles, California. While Mexican style lager seemed like a more appropriate drink the IPA was a much more interesting choice of beverage. To keep it authentic we watched the U.S./Mexico Border episode of No Reservations top watch elderly Mexican women make perfectly round tortillas to make my deformed monstrosities that much more embarrassing. This also allowed Jen to develop delicate theories about how all Texans speak with the same sing-song cadence regardless of what they are saying. Her grasp of Texan dialect and my grasp of tortilla making are still in their infant stages.